This is a list of chemicals that you can keep at home so your kids can do chemistry projects and grow crystals. The activities are safe for kids with adult supervision. Store the chemicals safely, away from young children and pets, as with any household chemicals. Water—Distilled is probably better. You can do experiments with tap water. Table salt (sodium chloride)—Grocery store item found in the baking/spice aisle. You can grow salt crystals at home easily. Borax—Usually sold with laundry detergents, otherwise with household cleaners. Corn starch—Grocery store item found in the baking/spice aisle. White glue—It's sold with school supplies. Vinegar—Grocery store item, location varies. There are different types of vinegar. White vinegar is clear, but usually, cider vinegar would work if that's what you have. Baking soda (sodium bicarbonate)—Grocery store item found in the baking/spice aisle. Food coloring—Grocery store item found in the baking/spice aisle. Epsom Salts (magnesium sulfate)—Found near the pharmacy section, usually. You can grow Epson Salts crystals at home quickly and easily. Vodka—Used as ethanol. It's not necessary, but good to have for some projects. In many cases, rubbing alcohol (isopropyl) would work. One comes from the liquor store, the other from the pharmacy section of the grocery store. Sugar (sucrose)—Granulated white table sugar, from the grocery store. Flour—Flour is used to make a paste and as a building material, as in the chemical volcano. Calcium Chloride—Sold as a laundry booster or road salt (de-icer). Bromothymol blue pH indicator—Sold in water test kits for aquaria and swimming pools. Phenolphthalein pH indicator—This chemical is used in color-change and disappearing ink projects. Sodium hydroxide (lye)—Sold as a drain cleaner in the plumbing section of some hardware stores. Keep away from children. It's not used in a lot of projects, so consider it optional. It's used where a strong base is needed. Glycerin—Sold in the pharmacy section or in craft stores. Used to make bubbles, mainly. 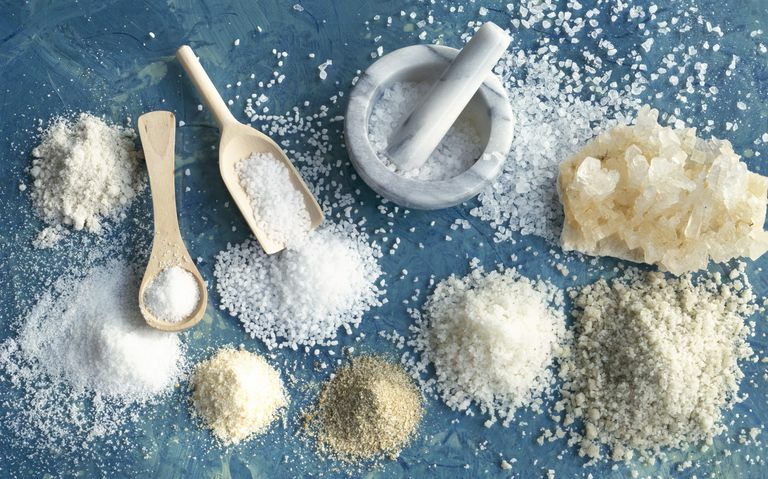 Rock salt or sea salt—Sold with spices. Sometimes you want sodium chloride with other trace elements. Lemon juice—Found near produce, usually. You can make invisible ink with lemon juice. Milk of magnesia—Sold in pharmacies. Dishwashing detergent—For hand washing, not dishwashing machines. Copper wire—You want the type without any insulation or coating. Galvanized nails—These are nails that have been coated with zinc. Mineral oil—Baby oil is mineral oil. The added fragrance isn't a problem. Citric acid—Sold with canning supplies. Vegetable oil—You can use safflower oil. Any cooking-grade vegetable oil is fine. Steel wool—Found with cleaning supplies. Iodine stain—It's easiest to order this from a chemical supply company or try to buy some from a local school. It's used primarily in projects that test for the presence of starch. Unflavored gelatin—Found with its flavored relatives.